If you are about to enter the world of financial market trading, it is imperative that you have several weapons in your armoury. Knowledge is perhaps the most important of these, as this creates a source of insight and determinism that enables you to make informed decisions. You will also need to access the technological tools of the trade, however, s these help you to bridge the gap between theoretical learning and practical application. Above all else, you will need access to a mobile trading platform, which is affiliated to your account will optimise the efficiency of your real-time trades. A Review of the ETX Trader Pro App: Is it Suitable for You? If you have an account with the established ETX Capital platform, you will also be able to choose between three purposeful applications. Each of these offer variable advantages to traders, so it is important that you select the one that suits your exact needs, philosophy and core trading strategy. The brand’s trader Pro app is perhaps the most universally popular, and there are several key reasons for this. 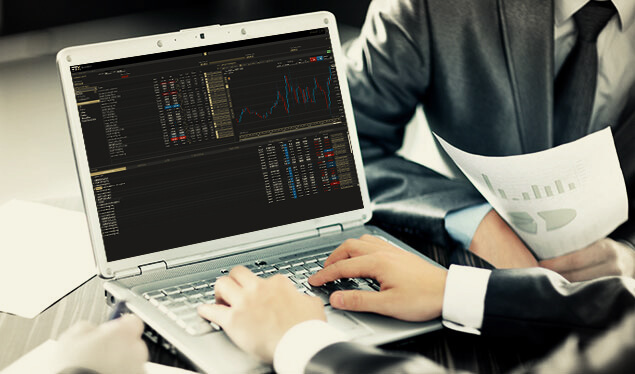 Firstly, it has the unique distinction of having been made by traders for traders, which means that it is specifically designed to negate many of the challenges associated with accessing accounts on the move. It also includes the most insightful features across various markets and asset classes, creating a streamlined proposition for users and a less-cluttered interface through which to execute orders. In addition to these standard tools and indicators, however, the app offers several benefits to investors. Not only does it offer access to numerous marketplaces from a single dashboard, for example, but it also has several personalisation options that allow you to make the platform your own. You can customise charts and graphics so that they are presented in a way that you prefer, for example, while also showcasing the key data sets that you wish to review. 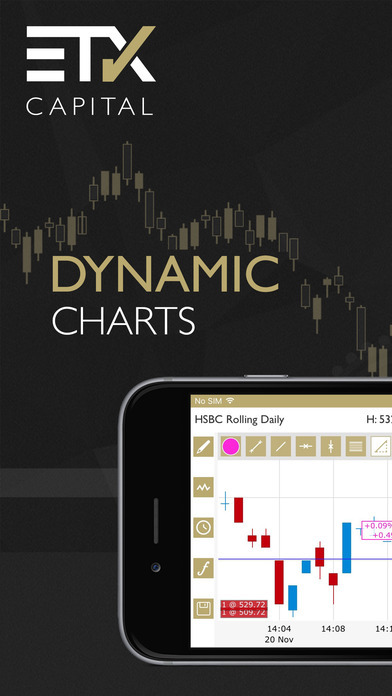 This involves adding and removing elements over time, as you look to create an intuitive and relevant app that drives your success as a trader. As if this was not enough, you can also access functional customisation options to set trailing stops, loss limits and live alerts. These help to minimise real-time risk and optimise the effectiveness of every order that you make, which is crucial in volatile markets such as the foreign exchange. On a final note, the ETX Pro Trader app also offers users access to the brand’s lowest available spreads. In actual terms, this translates into spreads as low as 0.7 pips for the EUR / USD pairing, and an extremely competitive 0.9 pips for GBP / USD. This is the type of detail that makes a huge difference in the minds of traders, which is why the ETX Pro Trader app has such a large user base.